Rupture Disc | Burst Disc | Reverse Buckling Rupture Disc - Chase Controls, Inc.
Chase Controls offers both Continental Disc and LaMot rupture discs and rupture disc holders. Continental Disc offers both tension type and reverse buckling rupture discs up to 24” in diameter. Since 1964 Continental Disc has been meeting the needs of the industrial and oil & gas industries. Rupture Discs function as a pre-designed "weak point" in a pressurized system. 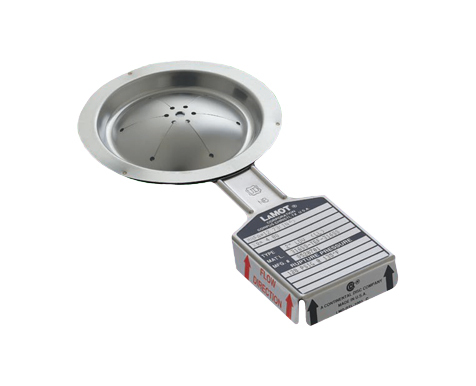 Continental Disc and LaMot rupture discs are the recognized leaders in innovative and high quality rupture discs. Originally based out of Corpus Christi, TX, LaMot has been manufacturing rupture discs and disc holders or safety heads since 1964. LaMot’s tension type rupture discs range in size from ¼” to 12” in diameter. Copyright © Chase Controls, Inc. All rights reserved.